As shadows walk the line between reality and another realm, and her lover’s memory begins to come back, the two of them learn that nothing is truly dead and buried. Especially when you’re trapped in a no holds barred war between angels and demons. With a soul on the line, and Mels’s heart at risk, what in Heaven—or in Hell—will it take to save them both? My after thoughts; I have to say that even though this was not my favorite of the series so far (Envy), I really enjoyed it. It took me a little bit to get into but once I did it was a pretty good read. I was really curious to see how Ward would get me to like Matthias. I've disliked him from the start so I could not see my mind changing. Wrong! As only a truly gifted author can do, she had me pulling for him in the end. If I could change anything about this series, I would want to see more of the angels themselves. I am very intrigued by Adrian so anytime I get to see what is going on with him I am super excited. All in all I think fans of this series will be happy. Questions were answered. Things were revealed. More questions are now being asked. And that is truly what I love about JR Ward. Her writing leaves you wanting more, needing to know, speculating about what happens next, GASPing when something happens that you have been waiting for, crying when something happens that you weren't expecting. 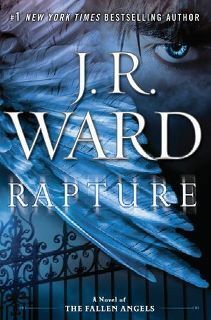 You you have not had the pleasure of reading any of JR Ward's books, please give the a try. Even when you hate something you still love it!! !